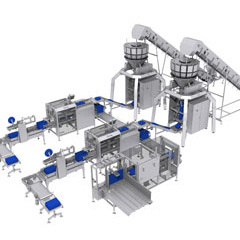 Our vertical packaging machines are operating in various industries. 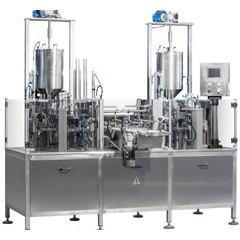 Vertical packaging machine SCREAM is a mechanical feat able to reach up to 300 cycles per minute. 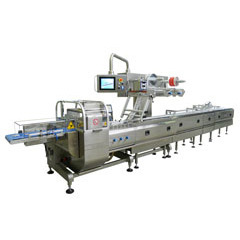 Specifically designed to operate under high speed production, the horizontal sealing jaws of the machine are continuously moving up and down. 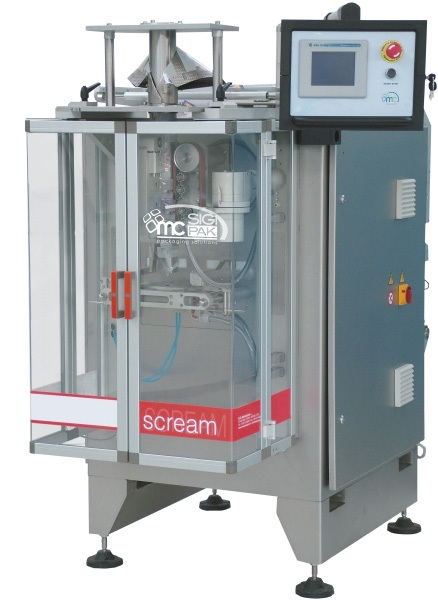 SCREAM is a perfect choice for the most demanding customers, providing such advantages as reduced packaging costs due to high production capacity and an ability to operate in confined spaces because of its small dimensions. 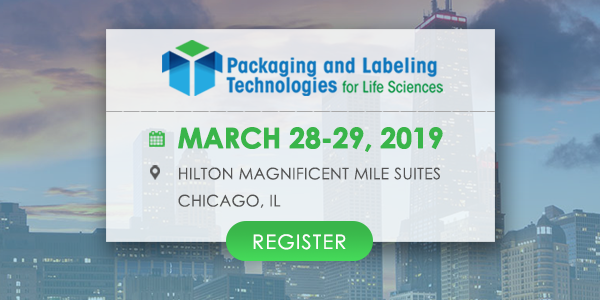 Vertical packaging machines can make various package types - pillow, gusset or flat bottom bags without losing its impressive speed.